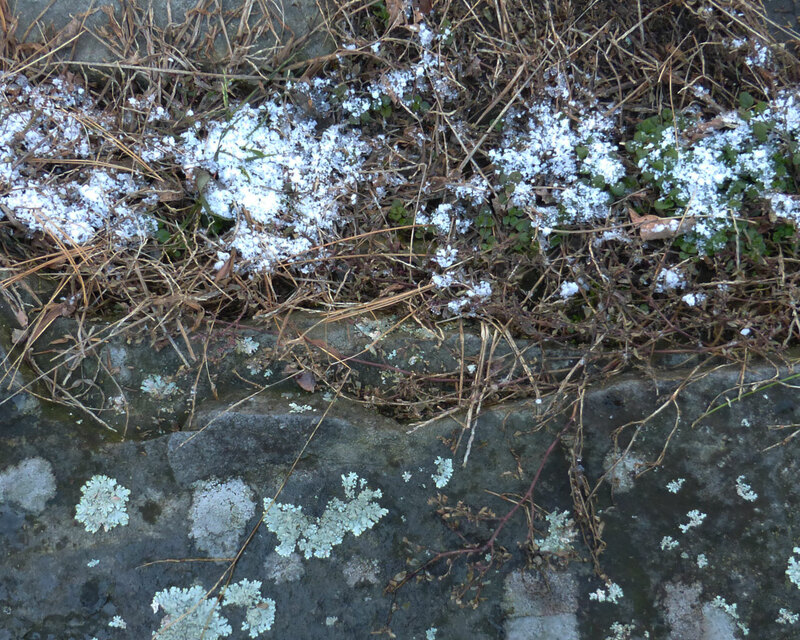 First snow this week settled on lawn and between lichen covered blue stone. Not much off rain with some sleet mixed in, the indifferent coating comprised of meager barely ripe flakes as is common this time of season. Fat wet snowflakes sometimes describe the same pattern as lichen when they land on stone. Lichens it turns out, are two animals in one. 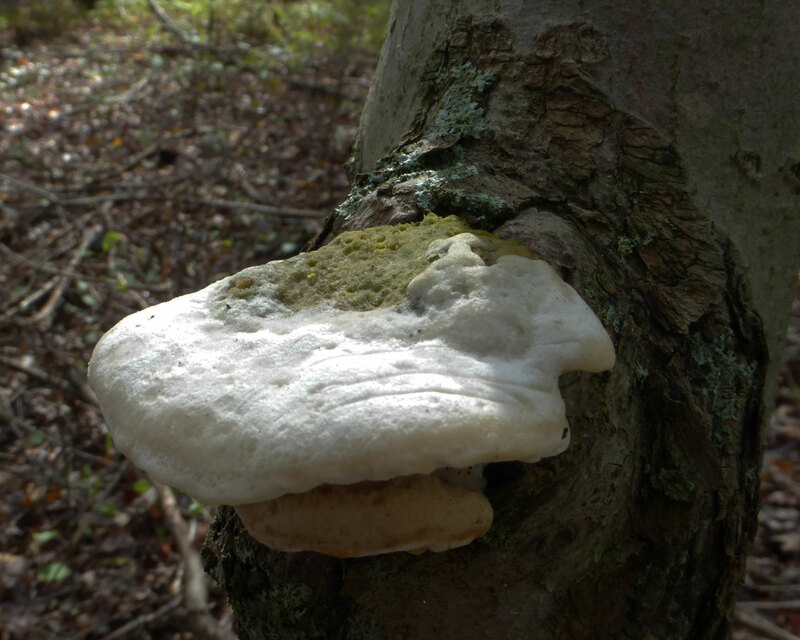 This birch, too close to neighbor hemlock, grows leaning, finds sun where it can. 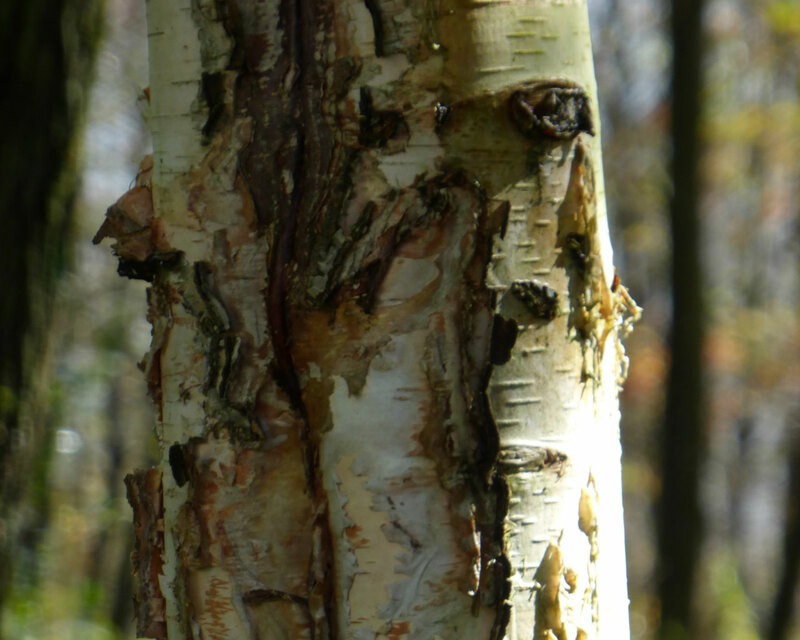 This wet pale October shows little more color than this birch scar. Maple splashes yellow here and faraway there. Squalls alternate sun, blue and wet across the sky. Playful youngsters now, they’ll mature as real cold sets, getting running starts from west of Erie. Almost snow today, cold to soon come. Any last colors will present, dry and fall as seasons deepen. 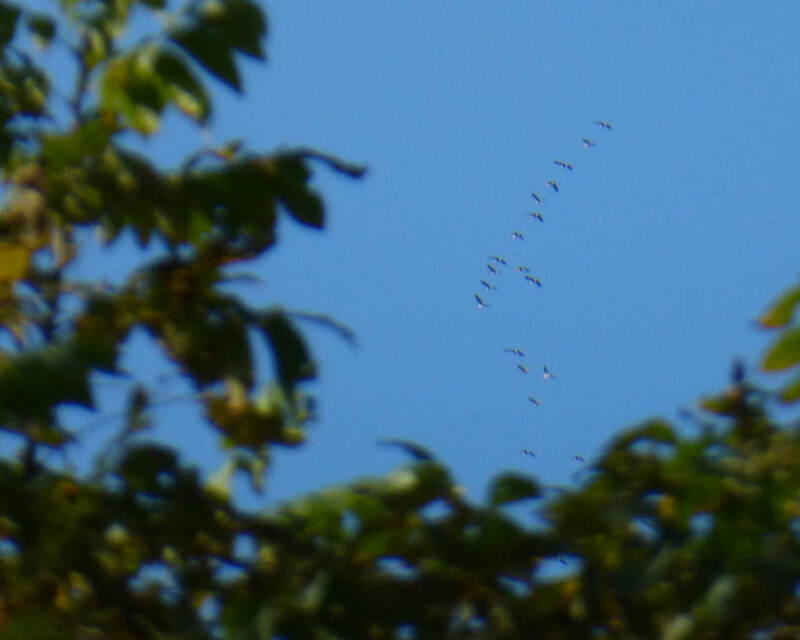 While enjoying the temperature and clarity of a fine October morning, the distinctive honking of geese punctuated an otherwise calm mist rising from the valley. After what seemed like minutes, the gaggle revealed itself. Flying at a considerable altitude, these birds were not commuting across the neighborhood; they were on their way with intent. From the back of the yard, a doe snorts, flashes buff from the tall grass, comes to attention, ears poised, eyes intent, gauging me as friend or threat. The shadow crossing the sun and yard pulls my eyes up as a tree top turkey vulture pulses wings toward unobstructed sky. Colors seep slowly stronger, gilding leaves and hills, on this fine October morning. How much different can heaven be?